Introducing the world’s first app based facial recognition access system. NoahFace Access is the faster, smarter and easier way for businesses to manage access of employees and visitors. Installing is easy as it retro fits onto any existing single or multi door set-up, with or without a control system. 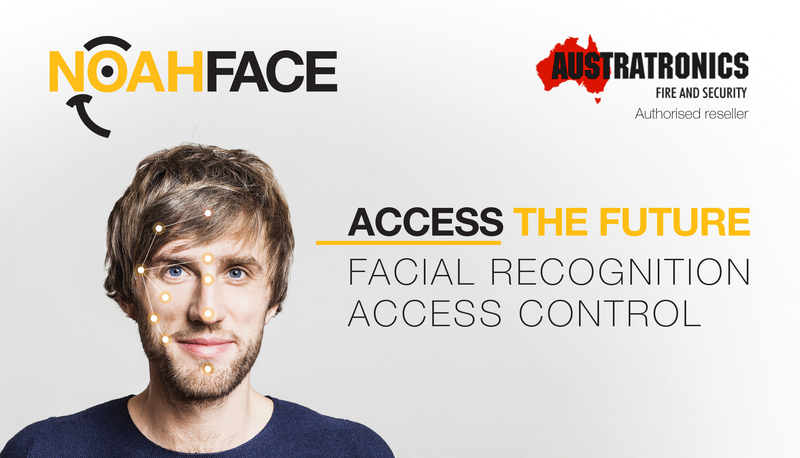 NoahFace Access operates as a tablet, mounted adjacent to a door that evaluates and approves authorised faces. Based on pre-configured rules, the receiver then operates the controlled door. It does this either directly (in a stand-alone configuration), or via the existing access control system (in an integrated configuration). The configured access rules include support for day-of-week, time of-day and even capability for different identification requirements at different times. For example, you can allow fast and convenient facial recognition access during business hours, while requiring a passcode or even an access card outside of these hours. A photographic record of all access attempts is stored in an event log so you can examine later if needed. These logs can be exported for longer terms storage and reference.